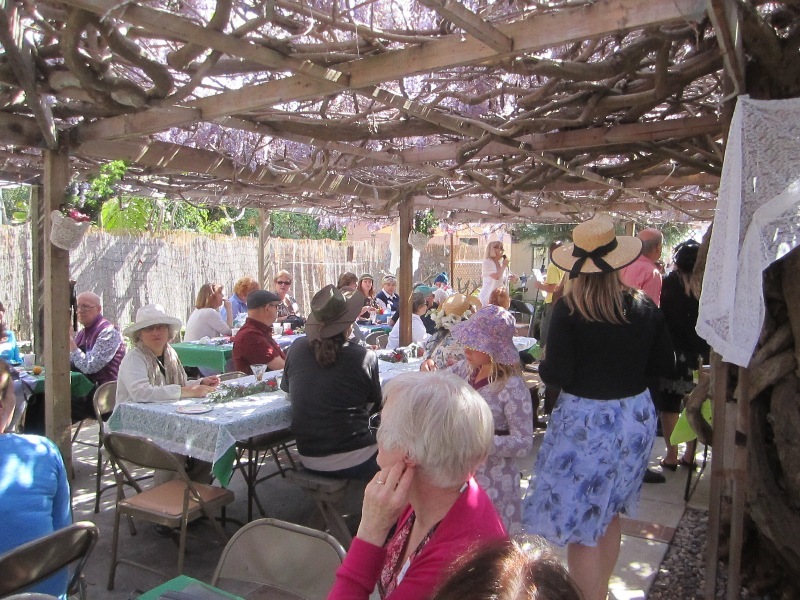 The Ocean Beach Historical Society held their annual “Wisteria Garden Party” last Saturday, and by the looks of it, the party was a total success! 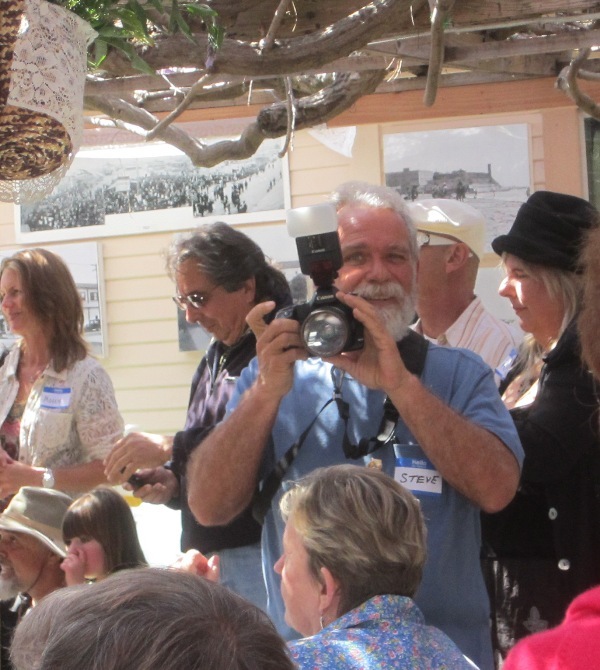 OB Ragster Patty Jones got the camera out and kept the shutter going – so we have this great photo gallery of a wonderful event. 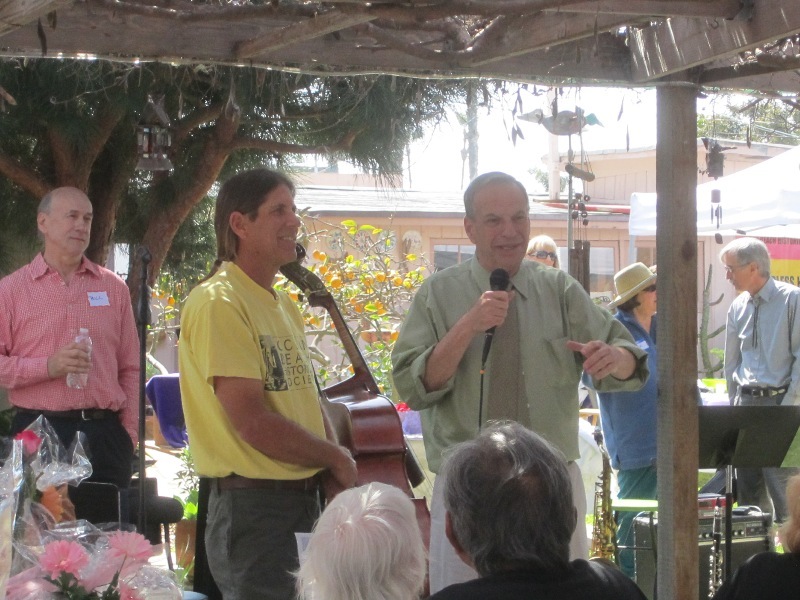 Many people showed up to the Society’s fundraiser – as did Mayor Bob Filner. 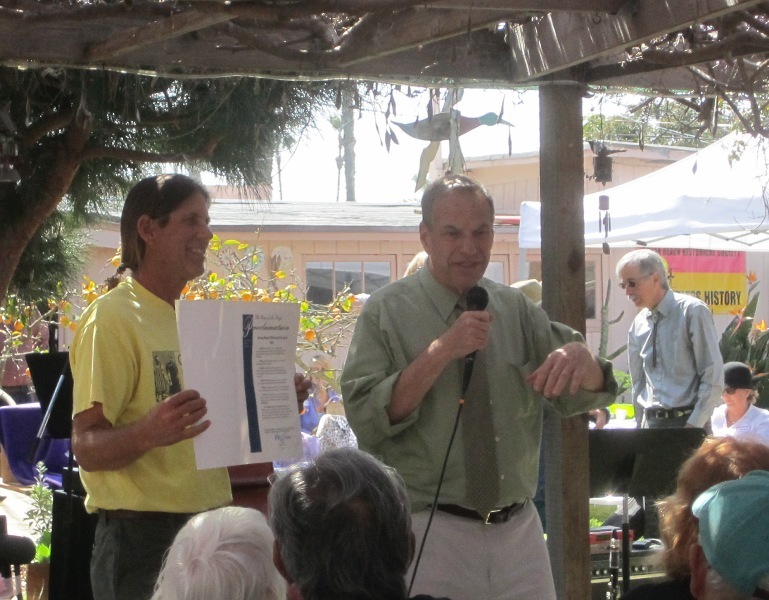 Filner showed and gave a speech and handed Pat James, the president, a certificate that proclaimed the day “the Ocean Beach Historical Society Day”. 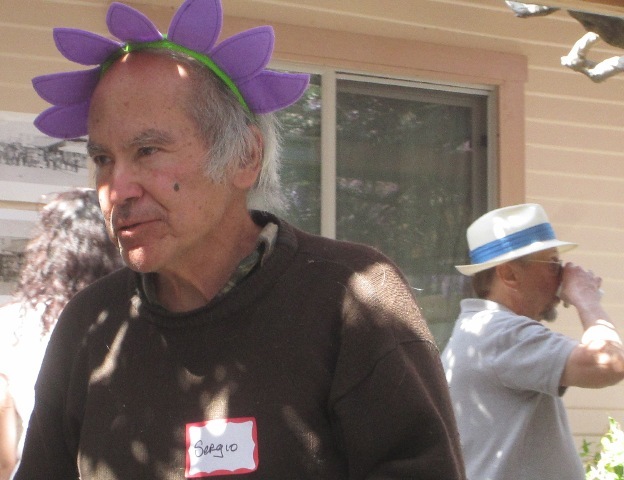 It was clear that the mayor was among friends. 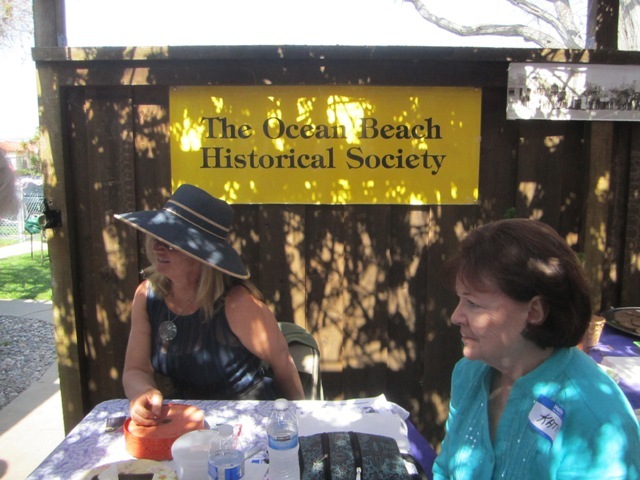 It was a ‘who’s-who’ of historical society members and local residents. 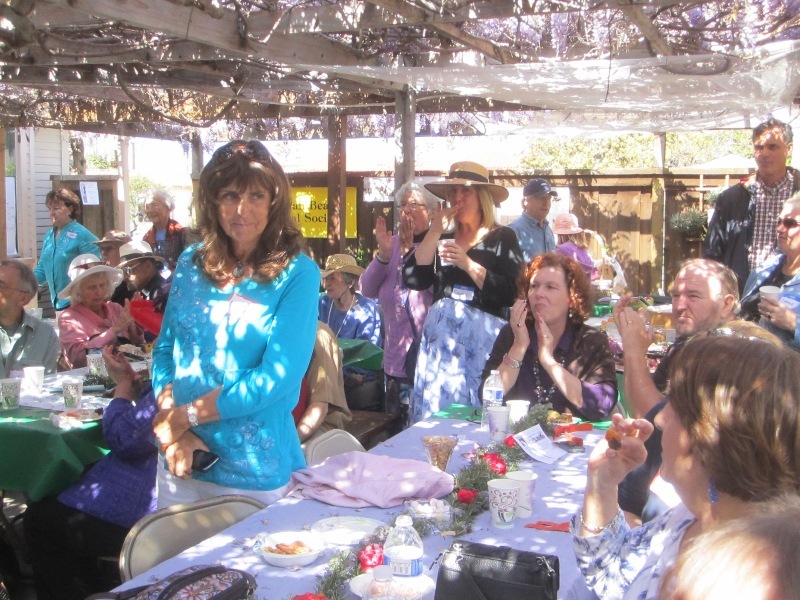 And there were raffles held throughout the afternoon, as well as a live auction. An acoustic band kept the sounds cruising in between the raffles. 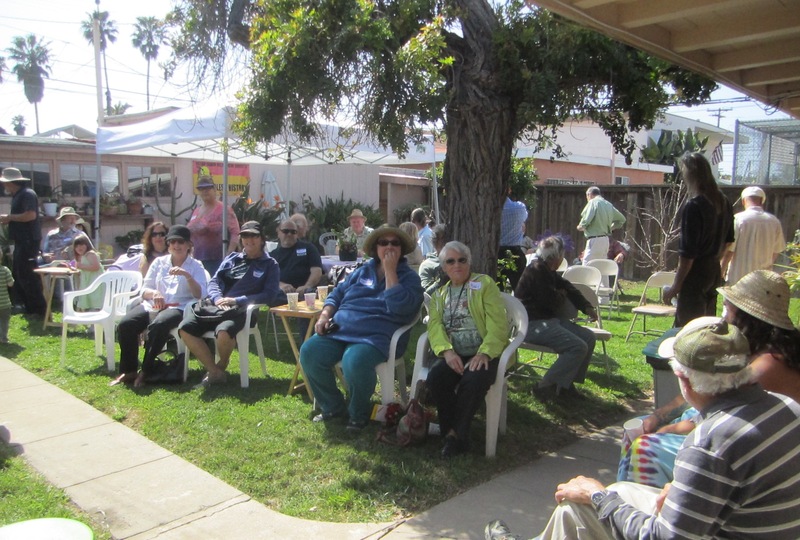 The party was held at long-time OBcean Ned Titlow’s house on the 4700 block of Niagara Avenue. 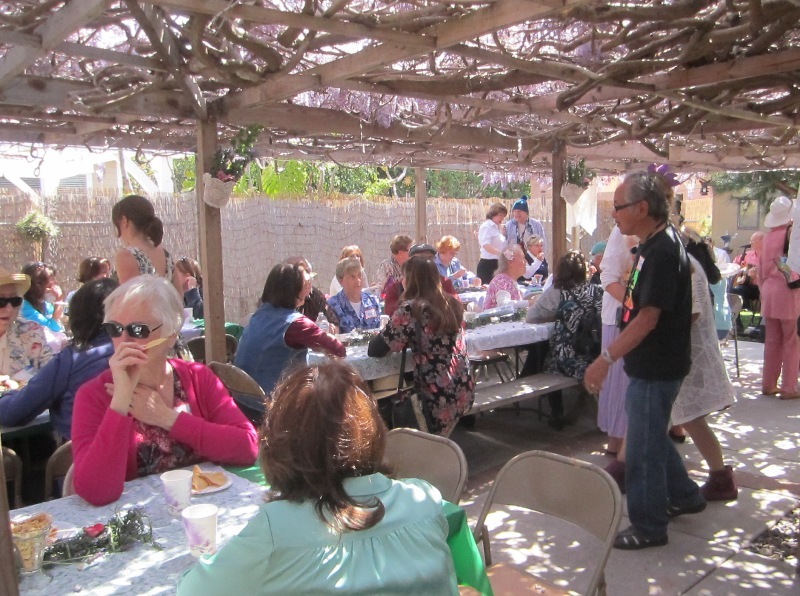 Ned passed away a few years ago, but the OBHS had this annual tradition of having a Wisteria party at his place – which they have kept up. 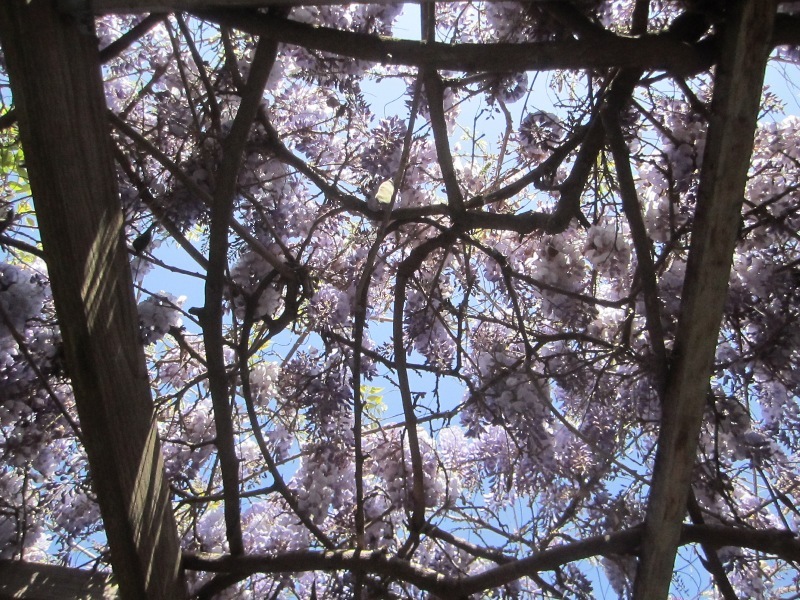 A wonderful Wisteria tree – with a huge trunk – has branches covering the overhead trellis of the large deck – and they were blooming like crazy on Saturday. 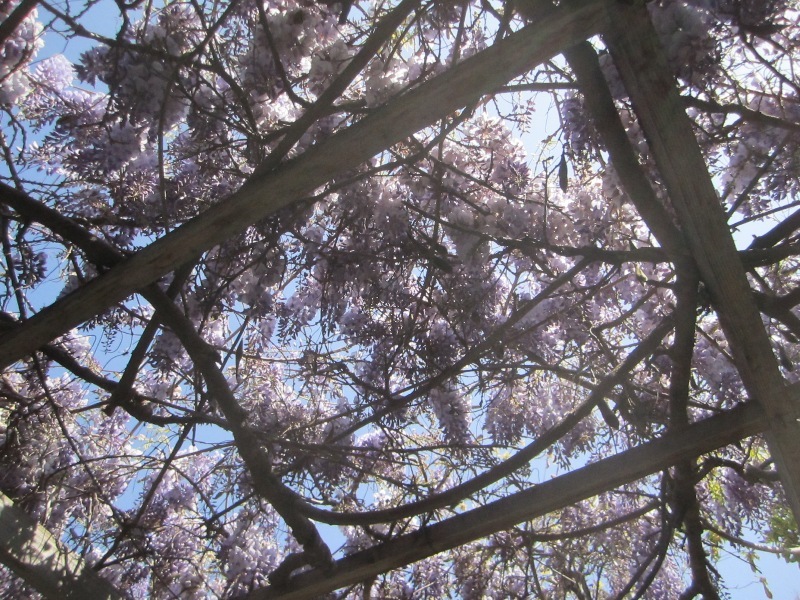 Until you’ve seen this wisteria, you’ve not experienced what one really is. Ned’s old house was originally built about a century ago. It’s been refurbished certainly. The Clark family were the first to buy it, and then years later, Ned’s sister purchased it. Sometime later, Ned moved his entire family into the place. He lived there until his passing. 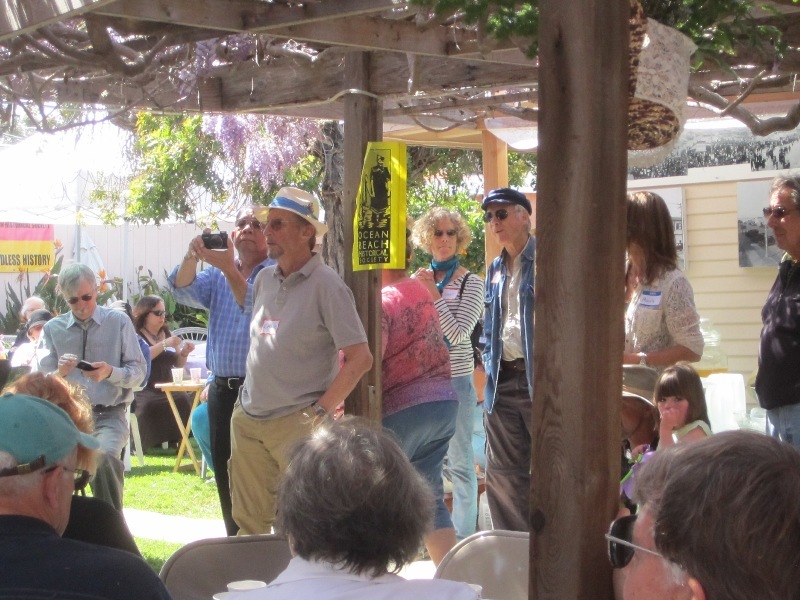 Relatives of the Clark who bought it originally were also at the party – they all live in San Diego. Thanks for coming out and celebrating with us. Great photos. 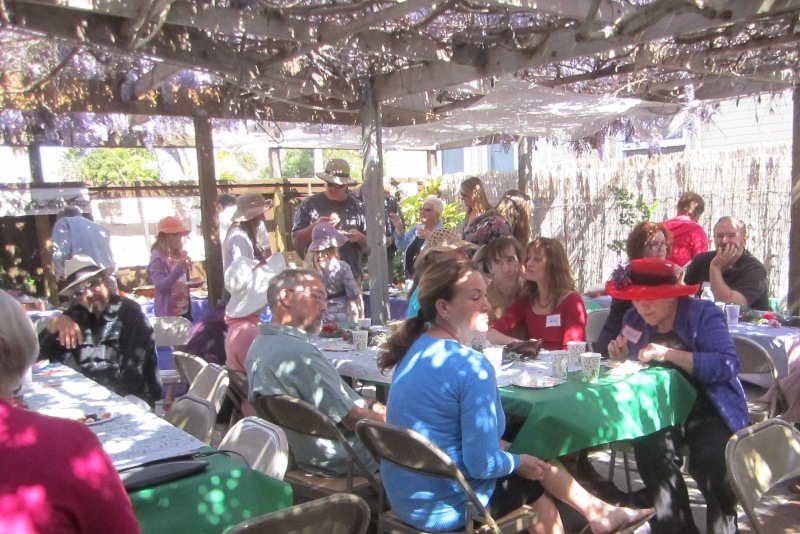 It really was a wonderful event. 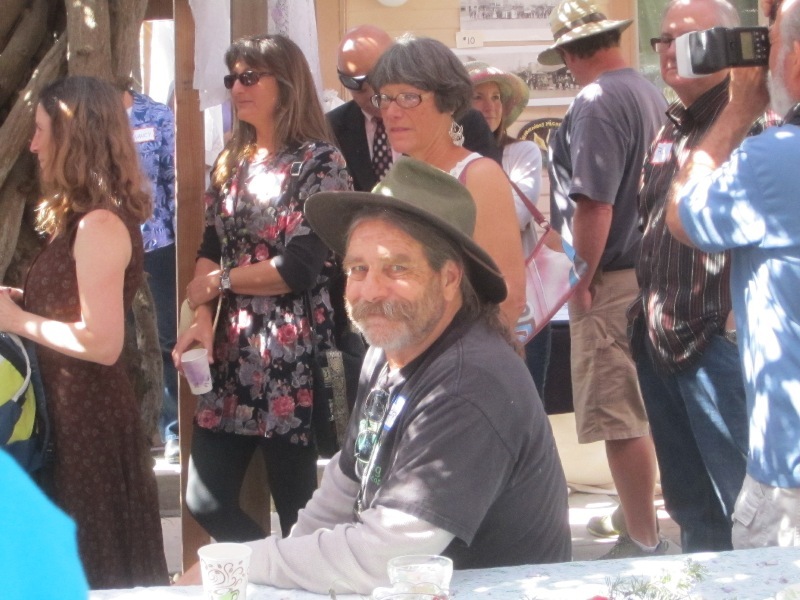 There are so many folks to thank and are grateful we have so much support from the community. I wanted to make it, but was out of town that day. 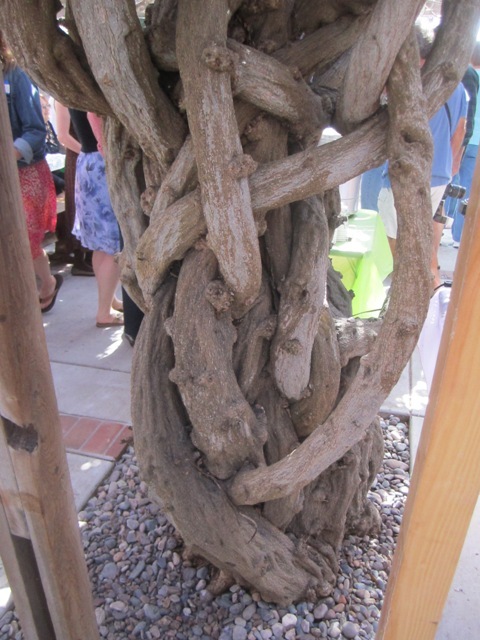 My wife went in my place and said it was a really nice event with beautiful wisteria. 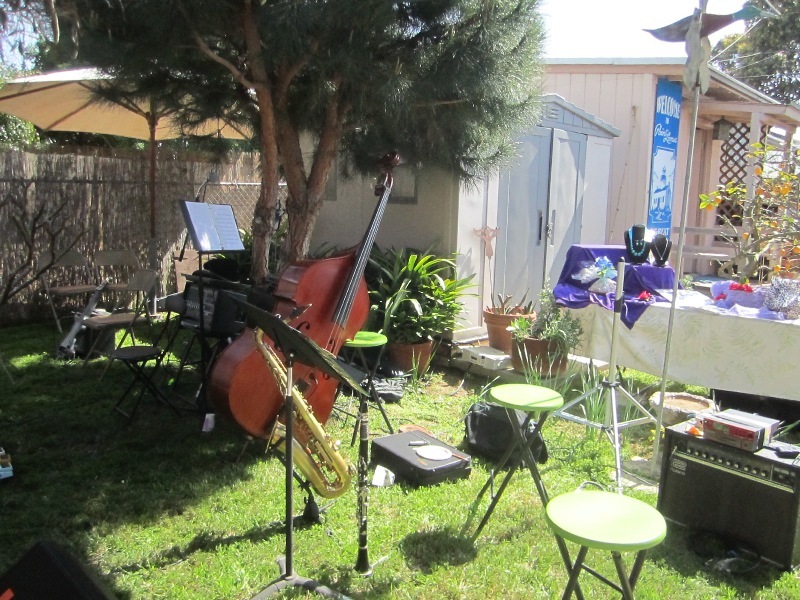 Pat- I also just realized you’re next door neighbors with my dear, long-time friend Jaimee. I think you helped her with a history report she did on wonderland around a year or two ago. Small town!